The web is full of resources when it comes to personal finance and investing but what exactly are the most relevant, popular forums on the topic available out there? 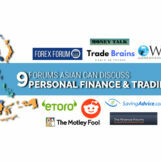 We look today at nine of the best personal finance and trading forums and platforms for consumers in Asia. eToro is a social trading network allowing for stock trading, online investing, crypto trading and much more. The platform’s key features include CopyTrader, which allows users to automatically copy the trades of more experienced traders, and CopyPortfolios, which are investment products that use a sophisticated algorithm to aggregate the collective knowledge of the platform’s most successful traders into fully managed portfolios users can invest in. eToro also comes to an array of social features aimed at making the financial market more friendly and accessible, including a personalized, social News Feed, which allows users to follow the financial instruments and traders they like, interact with fellow members of the eToro community, and participate in open discussions. Just like on any social network, users on eToro can post their own updates, tag the instruments or people they’re talking about, share posts to their feed, comment on others’ posts, and get notifications when a user they copy writes a new post, when an asset on their watchlist becomes volatile, and for other important updates. 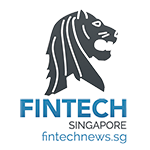 Launched in 2009 and headquartered in Singapore, ForexForum.Asia is a Southeast Asian forum focusing on retail foreign exchange (forex) trading. The community has attracted more than 24,000 traders since inception and provides forums and social networking for traders. In a forum, people discuss a topic in a single thread. Apart from its presence on the Internet, ForexForum.Asia also conducts events with participating forex brokers and industry professionals. ForexForum.Asia is owned and managed by FX Operator, a leading Internet media company with expertise in the retail forex industry. Founded in 1993 by brothers Tom and David Gardner, The Motley Fool aims to help people attain financial freedom through its website, podcasts, books, newspaper column, radio show, mutual funds, and premium investing services. The Motley Fool’s discussion boards bring together a diverse group of “fools” with varying interests. Discussion boards are chronological records of online conversations about a given topic. Most of the discussion is about investing or personal finance and the platform claims more than 4,000 active boards, and almost all are about individual stocks. There are two different sets of discussion boards: those available to a members regardless of premium service affiliation and those that are service specific. The Motley Fool is headquartered in Alexandria, Va., but advocates for individual investors around the globe with offices in the UK, Australia, Canada, Singapore, and Germany. Founded in January 2017 and based in India, Trade Brains is a financial education blog focused on teaching stock market investing and personal finance to the DIY (do-it-yourself) investors. The blog aims to motivate and educate people on value investing. Trade Brains features a discussion forum, a community of enthusiastic stock market investors dedicated to learning, asking, and sharing their thoughts and knowledge. Key topics include stock markets, IPOs and mutual funds, investing strategies and methods and personal finance. Wall Street Oasis was initially launched in May 2006 as iBankingOasis.com, a forum-based site for investment bankers and prospective monkeys. Wall Street Oasis claims to be one of the largest and most entertaining finance communities online with over 2 million posts to date, and over 4 million page views a month. The primary goal of the platform is to help educate young finance professionals and students as they approach critical career decisions. It aims to provide a place where finance professionals can come to learn more about related fields, network with other members and even apply to specific jobs that interest them. The platform’s finance forums allows users to ask questions and have these answered by experienced professionals. Some of the communities users can join include investment banking, private equity and venture capital, asset management, corporate finance, and hedge funds. Saving Advice is a community built around the notion that saving money is good. The platform offers free articles and information on all aspects of personal finance including debt reduction, how to save money, how to make money and how to invest. It also features discussion forums, blogs, newsletters, calculators and various other financial related tools. Launched in 2003, Saving Advice is owned and operated by District Media, LLC but there are many writers, editors, forum moderators and other community members who contribute on a daily basis. The company also runs a number of other websites such as Clever Dude, Thousandaire, Critical Financial, Outlier Model and Counting My Pennies, to name a few. The Finance Forums is a free and helpful resource on issues of personal finance. Registration is entirely free and only takes 30 seconds. Once registered, users will be able to post their questions or discussion topics on all sort of personal finance subjects, such as loans, mortgages, credit ratings, insurance policies, banking, credit cards, investments, pensions, retirement plans and other financial products. Main topics discussed include personal loans, debts, stock markets, savings accounts, pension schemes, fraud and scams, and more. Money Talk is a platform covering a little bit of everything from personal finance and making money, to financial news and small business. Users can post their money questions in the Money Forums, and have these answered by experienced investors and financial advisors. Sign up is free and topics discussed include earning and income, investments, stocks and bonds, real estate, credit and loans, personal finance, thrift savings plan, and more. 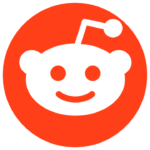 Reddit features several relevant forums focused on personal finance and investing. Subreddit r/personalfinance allows visitors to learn more about budgeting, saving, getting out of debt, credit, investing, and retirement planning. The forum has some 13.6 million subscribers and aims to help people get on top of their finances. It also has a helpful search function to find specific topics. r/investing is a forum for sharing investment ideas and insights that has more than 690,000 subscribers. The subreddit also offers links to some interesting resources.